With three teasers for three different shows last week, did you manage to guess them all correctly? 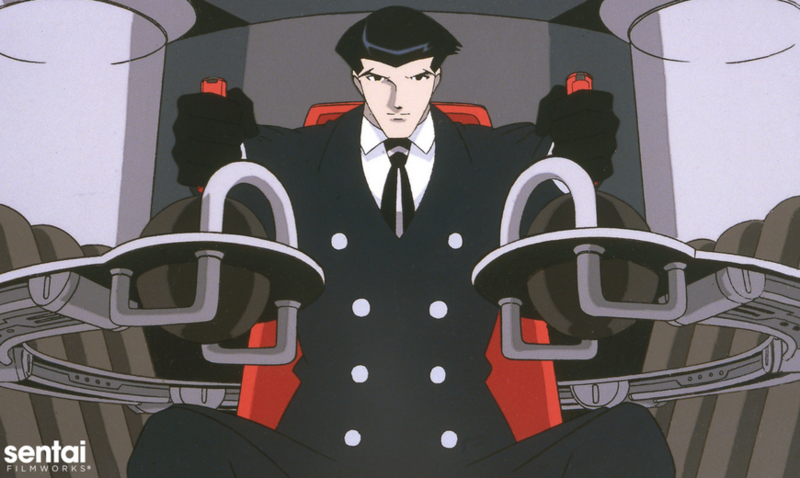 The suspense is over: this June, you guys have TWO premium box sets to choose from, as well as the long awaited Blu-ray release of The Big O. Raise your hand, or shovel, if you’re excited! June can't come fast enough. SYNOPSIS: Ikki Kurogane may have come from a long line of Blazers, people with the ability to create weapons or devices manifested from their souls, but as far as the Hagun Academy is concerned, he's been a major disappointment in the magical powers department. He is so disappointing, in fact, that he's earned the unfortunate nickname of the "Worst One". However, things change for Ikki in the most surprising way when Princess Stella Vermillion, the most promising Rank-A Blazer to come along in many years, decides to transfer to Hagun. When she challenges him to a duel where the loser must obey the winner for the rest of their life, the last thing anyone expects is that the Worst One might prove to be a match for the Crimson Princess… and the unforeseen consequences will push the boundaries of society itself in CHIVALRY OF A FAILED KNIGHT! SYNOPSIS: Forty years ago, the minds of Paradigm City's inhabitants were wiped clean of all recollections of the past. Now, ruled by a powerful corporation and cut off from the rest of the world by desolate wastelands, Paradigm has become a virtual police state where Negotiators like Roger Smith keep the wheels of progress, commerce, and society turning. As a combined hybrid of detective, mediator, and enforcer, Smith's primary resource is his keen, analytical mind, but it doesn't hurt to have a mansion filled with gadgets, his butler Norman, and his attractive assistant Dorothy to fall back on. Additionally, for those times when cases end up "in dispute," he also has the biggest, baddest back-up that any cop or small army could ever hope for: the Big O, a giant robot loaded with all the extras. Film noir thriller meets mecha mayhem masterpiece as the acclaimed classic series returns in the complete collection of THE BIG O! SYNOPSIS: It's been so long since someone used her name that she's forgotten it. Suddenly, she's ripped away from everything she knows, chosen by a mysterious organization called The World for a secret mission. However, from the moment she steps on board the incredible spacecraft Norn, she knows that she's found home. The other young people aboard the ship are just like her: gifted with unexpected skills and abilities. Now, to protect the future of peace and harmony, they're at The World's beck and call. Maybe she'll find more than just a purpose. Maybe she's finally found a family and, possibly, even… her soul mate? Join three amazing girls, nine incredible guys, and a mysterious kid as an epic odyssey begins in NORN9! SYNOPSIS: Why would anyone form a School Living Club? Could four girls, their advisor, and a puppy really love their school so much that they'd want to live in it? Or is there another reason, something that lurks behind the façade of their comfortable existence? Something that waits outside their school's doors. Something that has already robbed one girl of her sanity? While the others try to come to grips with a dark new reality, the rest of the world falls to ruin at the hands of a ravenous force, and insanity may be the last hope for survival. Shocks, heartbreak and stunning revelations await as the twisted tale unfolds in SCHOOL-LIVE!